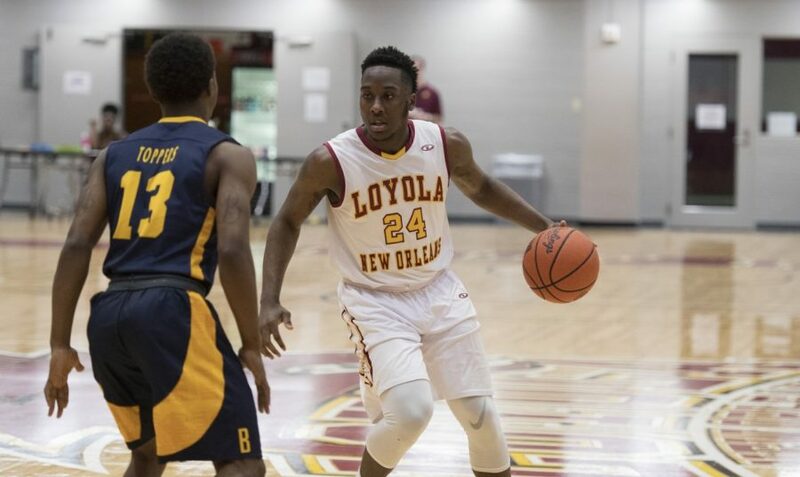 The Loyola University men’s basketball team topped Middle Georgia State University 81-70 in the quarterfinals of the tournament for the Southern States Athletic Conference championship. The main strength of the Wolf Pack in this game was their defense. Loyola held the Knights to just 30.56 percent shooting from the field going 22 for 72. 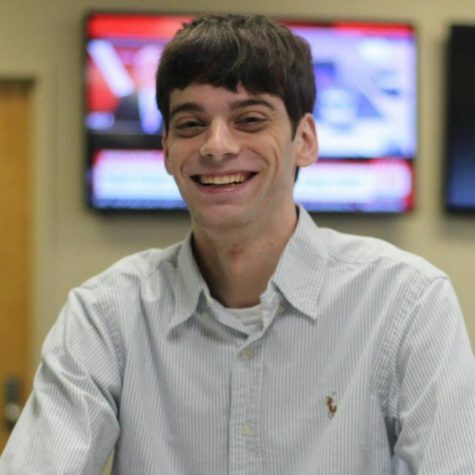 However, Middle Georgia State was able to get a large amount of shots because of the substantial turnover differential. 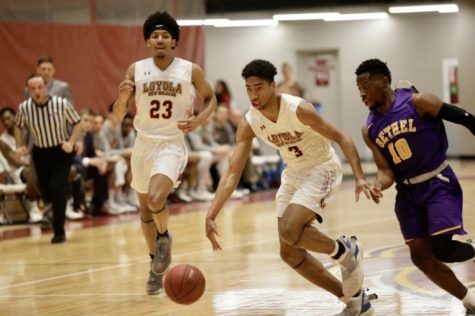 Loyola finished with 24 turnovers while the Knights only finished with nine. 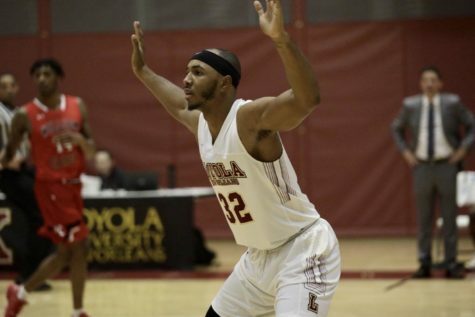 When they did not turn it over, Loyola was very efficient on the offensive end shooting 48.08 percent from the field converting 25 of their 52 attempts. The Wolf Pack was also very efficient from the three-point line converting 10 of their 18 attempts behind the arc. Loyola controlled the game early, creating a 20-point lead with 5:44 left in the first half. The Knights managed to cut the lead to 13 before the end of the half. 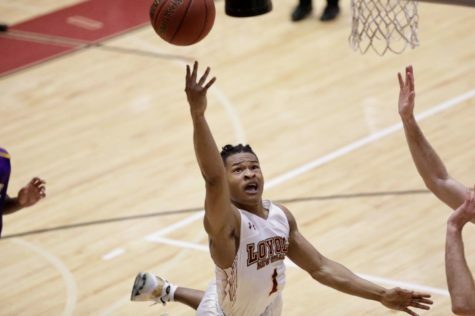 Loyola initially controlled the game, maintaining their double digit lead, until the Knights surged and brought it down to a seven-point game with 5:28 to go. That was the closest they would get as the Wolf Pack held on down the stretch. 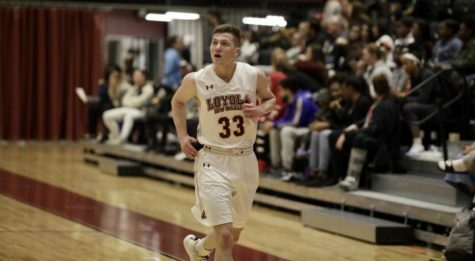 Business senior Nick Parker led Loyola in scoring with 16 points on 4-9 shooting from the field. 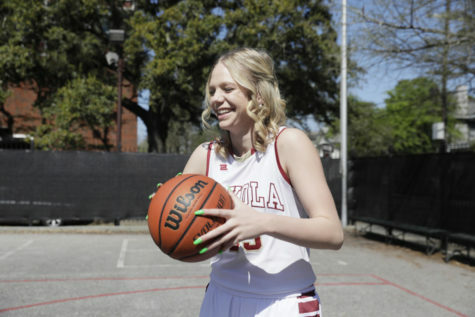 Parker also grabbed 7 rebounds. 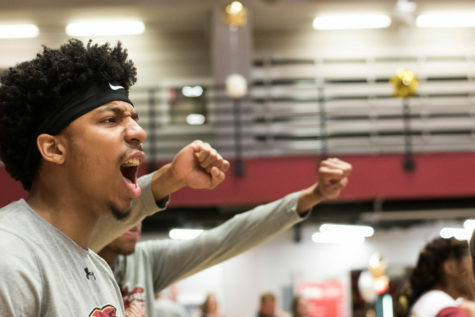 On the opponent’s side, computer science junior Darrell White led the Knights in scoring with 29 points as well as contributing six rebounds. White was able to get to the free throw line effectively against the Wolf Pack as he managed to take 13 free throws converting 11 of them. 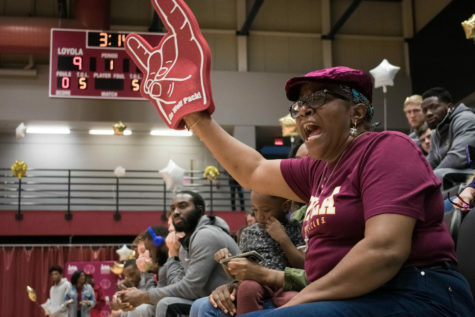 Loyola received contributions from a variety of players as four scored in double digits and the Wolf Pack bench outscored the Knight’s bench 38-8. 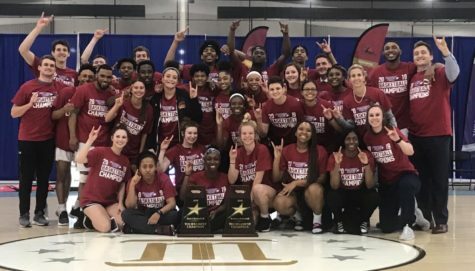 Loyola’s next opponent in the tournament will be Dalton State on Mar. 2 at 3 p.m.in the semifinals round. 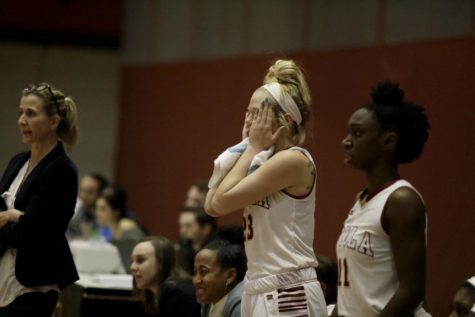 The Wolf Pack are 0-2 against Dalton State. 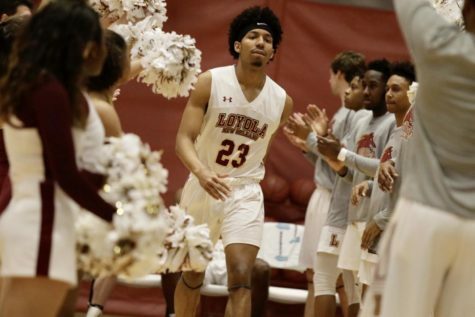 Their first meeting in The Den was a three-point loss for Loyola with their most recent game ending up as a road loss by 25 for Loyola.